You Are The Roots: seventeen with sprinkles. 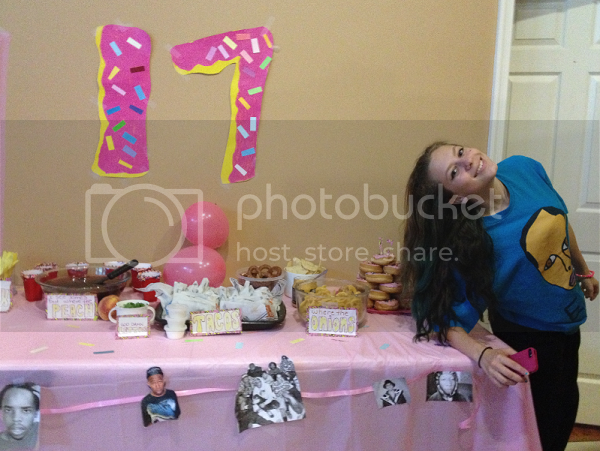 This past Thursday, my sister turned seventeen and so on Friday night I threw her a birthday party. My sister and I are complete opposites and sometimes I am in the throws of a screaming match with her, frustration eating up my insides and I wonder how we truly can be related. Sometimes it feels we are speaking two different languages and neither one possesses the capability to completely understand the other; why can't you and why won't you and arms thrown up in the air in exaggerated defeat. But then she sits down next to me on the couch and underneath the shell of an apathetic, angsty teenager is the little girl with the blonde curls and blue eyes who stole my heart the first moment I laid eyes on her. And all she has to do is force a half-smile in my direction and I find myself knee deep in the throws of planning some party about something that makes her happy. Or as close to happy as a seventeen year old can possibly get. These days my sister is completely obsessed with some rap group that has some television show or something and their names and regurgitated recaps of their Twitter updates are all she speaks in general conversation. I can say "Megan, let's take Ethan to the park" and this will remind her of something that someone in this group said before and I find myself having to bite my lip because I can't take it anymore. But somewhere between my obscene love for planning parties and the fact I've never not planned a birthday party for my sister and because I feel adventurous enough to try to be the miracle that makes a seventeen year old truly happy, I decided to go for it. 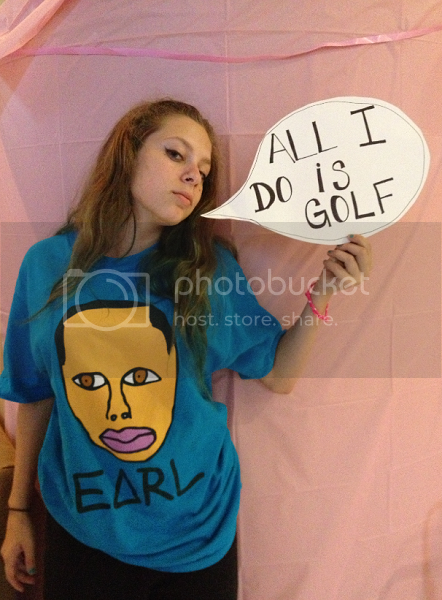 Plus, this rap group has a logo that is a donut with pink frosting and sprinkles and, well, donuts are cute. 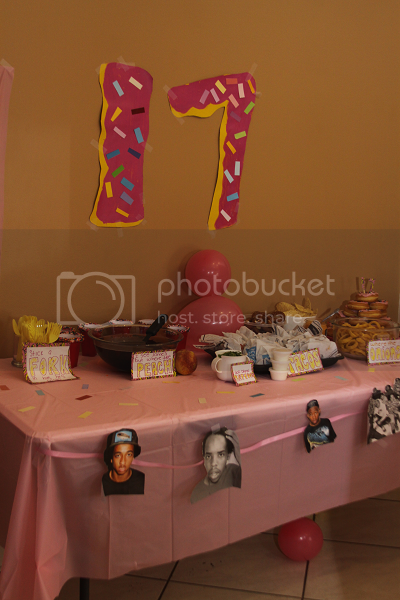 I made the number 17 out of poster board, paint and sliced up paint swatches to make the sprinkles. 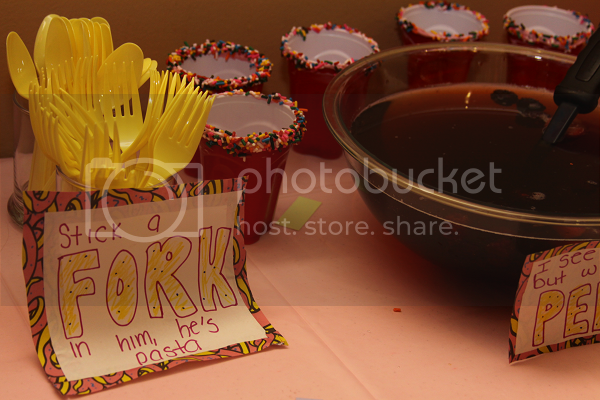 I also used pink tablecloths and added some paint swatch sprinkles to jazz those up, too. 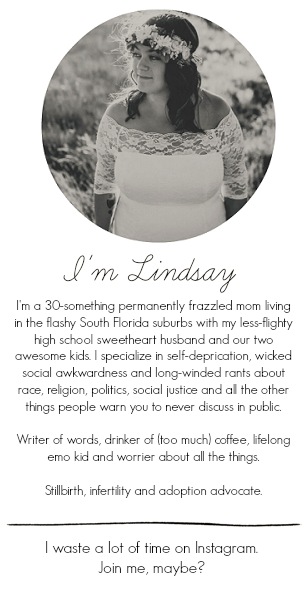 Because I am overdue for some Big Sister Of The Year awards, I mind numbingly read through pages of quotes from this group and their TV show and found ways to pair them up with the food display. 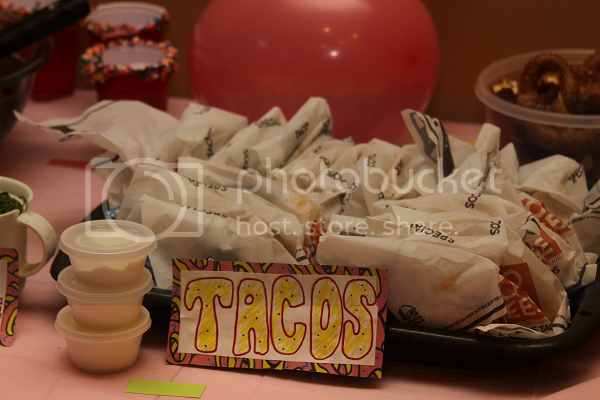 When you're seventeen and someone is willing to throw a party for you, you still just ask for Taco Bell. Because it's not a party until the food might kill you, you know? Actually, I can't over-snark this one because I'm pretty sure for my 16th birthday dinner I requested my parents take myself and my closest friends for a nice sit down dinner at Taco Bell. Apparently it's some kind of teenage tradition. 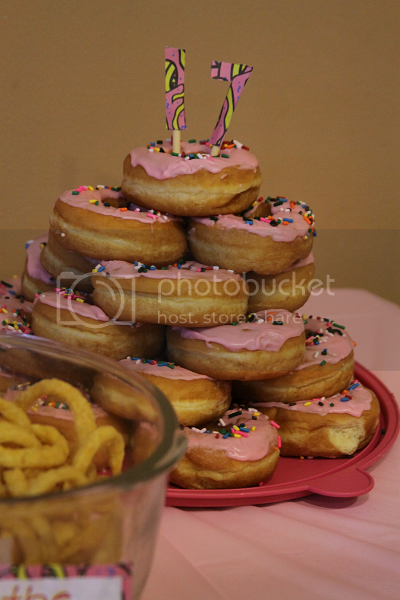 The cake was a tower of pink donuts with sprinkles. Dunkin Donuts didn't even have the right kind of sprinkles so I sprinkled them myself. That's love. 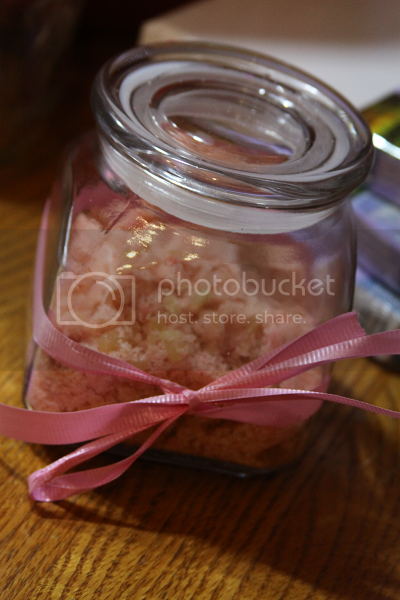 For party favors, I made a huge batch of homemade "pink cake" sugar scrub and put them into little jars. 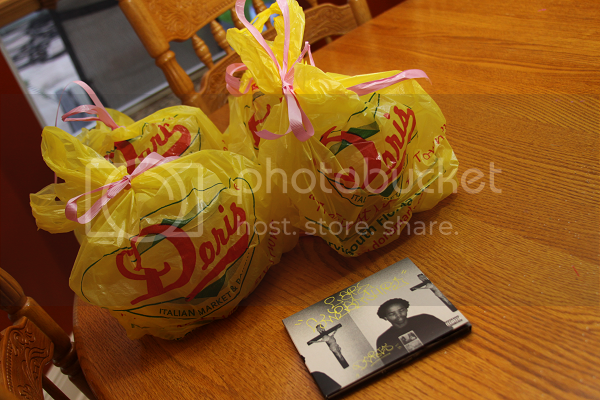 One of the rappers in this group just released an album named Doris so it only made sense I drove across town to an Italian market with the same name and picked up bags to wrap each jar of sugar scrub in. And because it's not a party without some sort of photobooth backdrop area, I made sure to set one up complete with posterboard speech bubbles featuring some of my sister's favorite song lyrics and lines from their show. 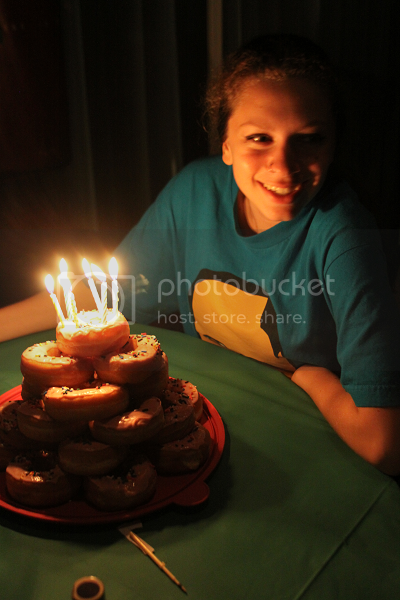 After all my work and stress and sweat and trying to deter Ethan from hoisting himself up on the table to inhale the entire stack of donuts, it was all pretty much worth it when she walked into the room after dance and lit up at the sight for her party. I may or may not have received a text message that says both "thank you so much" and "you are the best." I mean, the morning after the party when all of her friends left she let out one "I wish my party was more exciting," but I still have the text messages to prove she at one point thought otherwise. For a couple of brief hours, I made a seventeen year old girl happy and therefore I am invincible.